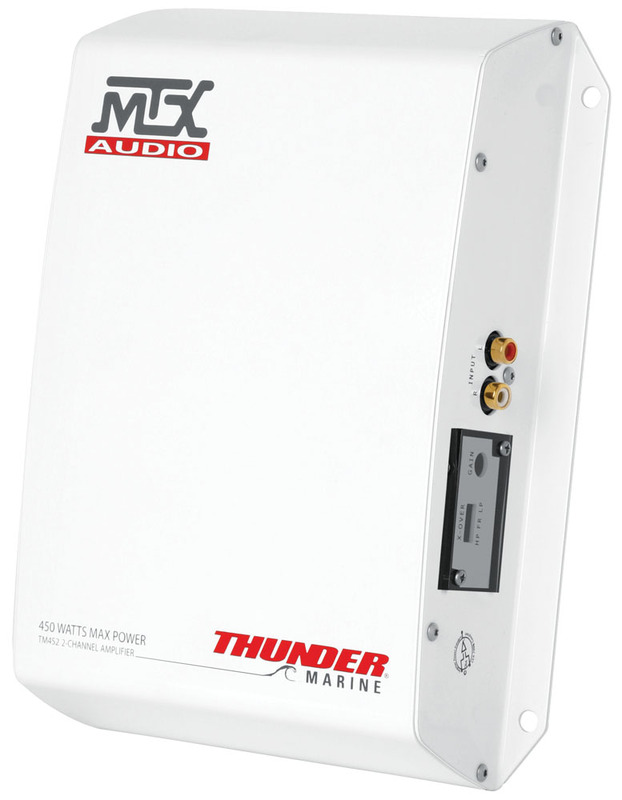 The TM452 is a 2-channel class A/B full range amplifier designed for the harshest marine environment. Conformal board coatings help to prevent corrosion, and thermal rail regulation helps to control amplifier temperature. 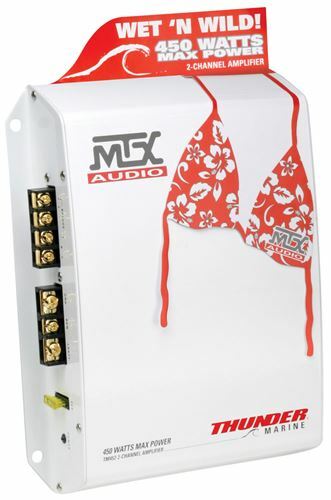 Sealed covers keep amplifier controls and speaker terminals dry. 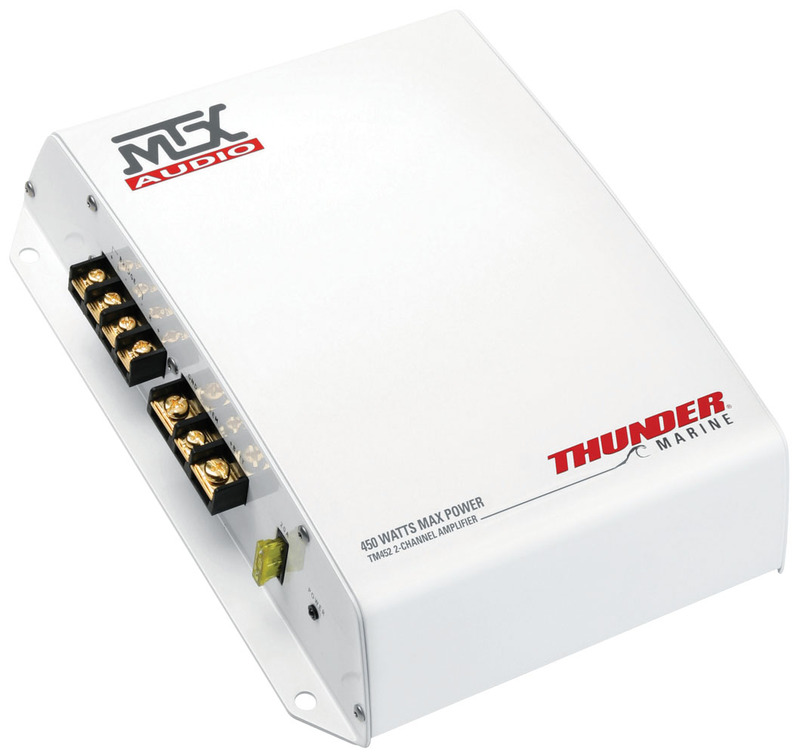 Additionallly surface mount technology secures critical components to the PCB and resist vibration for long term performance even when used in harsh weather conditions. Even with all of this advanced technology, thunder marine is still pure, legendary MTX with versatile, high power amplifiers, clean, crisp speakers and boat rockin’ subs, you’ll see why Thunder Marine is the best sounding marine audio… ever!